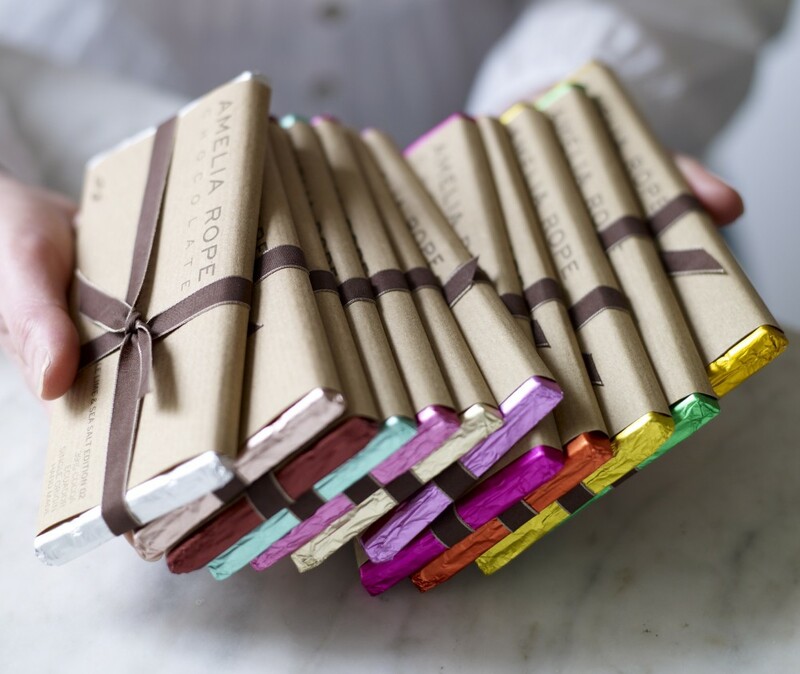 One of the finest chocolatiers in the country shares with Yumbles her secrets, tips and favs ahead of National Chocolate Day. What's your #1 tip/advice when making chocolate? When I first started back in 2007, all orders were bespoke and I worked from my own kitchen. I tempered my chocolate using a marble slab and slowly melted my couverture using the bain marie method. The temperatures to temper the chocolate are paramount as are the conditions - ideally a cool kitchen. Conquer tempering and you are there! Treat chocolate with respect as its a temperamental ingredient and it likes your attention when you are working with it. Most importantly have fun when playing with chocolate - use it as a blank canvas for you to put your stamp on. What's your favourite chocolate (or chocolate combination)? At the moment I have a weak spot for my two new couvertures (one milk 41% and dark 70% - both from Colombia) for the AW17 collection. My favourite combo... I am too fickle to have a favourite. What's the most difficult part when making high quality chocolate? High quality chocolate requires top quality beans which are firstly harvested at the correct time and then followed by expertly timed and controlled processes of fermentation, drying and roasting. All these steps are vital to create top-quality couverture. I have been lucky to visit plantations in Brazil Colombia and even Mauritius. Its only when you see it that you really understand what it is all about. What's the best comment/testimonial you ever got from your customers? Ahh - that's a difficult one. I have some phenomenal customers who have written some amazing things. It makes the hard work seem worth it. What do you mostly love about chocolate and why did you start making it? Chocolate found me! A 5-day course at Valrhona in Tain L'Hermitage got me playing and creating and the rest followed. I love the way you create such beautiful memories when you eat it, share it, gift it. But mainly being a nature lover, the magic of this one tree: Theobroma Cacao with its brightly coloured pods...all created by nature. What makes your chocolate differ compare to others? When I started producing bars it was the packaging, many of the recipe combinations as well as being one of very few in the premium chocolate bar market. Now this market space is beyond saturation point! I appear to have inspired others in the industry with my packaging combination and also some recipe combinations (I believe I was the first to do a nut with sea salt in the UK and one of the leaders with putting flavours with sea salt - my first was in 2010).